I didn't really see anything spectacular on this dive, but we did swim along a very long underhang for several hundred feet. 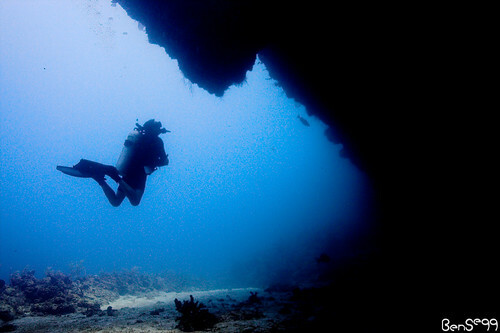 I got a few nice shots playing with the shadows and various divers. Pictures from my trip to Deep Blue Resort on Utila, part of the Bay of Islands chain off the coast of Honduras.